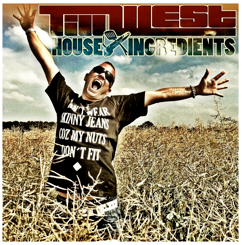 Till West‘s latest DJ-mixes, for you to download and subscribe to the „Till West Podcast“. Including House, Tech House, oldschool house mixes, Progressive House & deep house Tracks from Artists like: Till West , Sharam Jey, Tom Sawyer, Micha Moor, Tim Royko, Ben Delay, Eddie Thoneick, Funkerman, Alexandra Prince, Bingo Players, Chocolate Puma, Wally Lopez, Fedde le Grand, Sebastian Ingrosso, Kid Chris, Plastik Funk, Tapesh, Lenny Fontana, Belocca, Eric Smax, Axwell, Seamus Haji, Sèbastien Lègere, Lützenkirchen, ... etc., all in blended DJ-mixes by Till West !